Each vehicle is repaired to factory specifications using the highest quality equipment, parts, and materials. Our standard of excellence is recognized by the coveted I-CAR Gold Class Professionals designation. At the time of loss our trained professionals can assist you with navigating your insurance claim and reserving your Enterprise Rental Car. 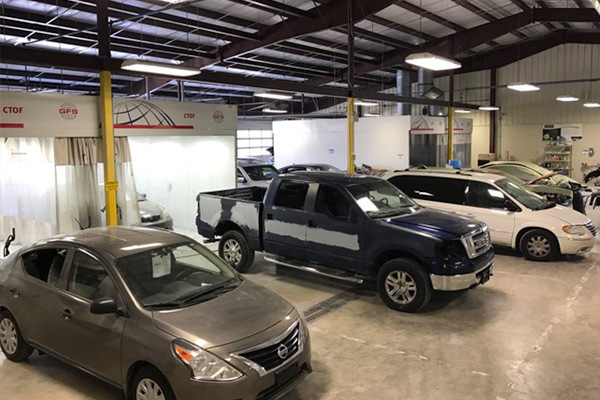 Once your vehicle enters one of our Laneys Collision locations, our trained professional staff will see your vehicle through our proven repair process. After repairs are complete you will receive a registered, limited lifetime warranty and at least one customer service follow up in order to guarantee your satisfaction!